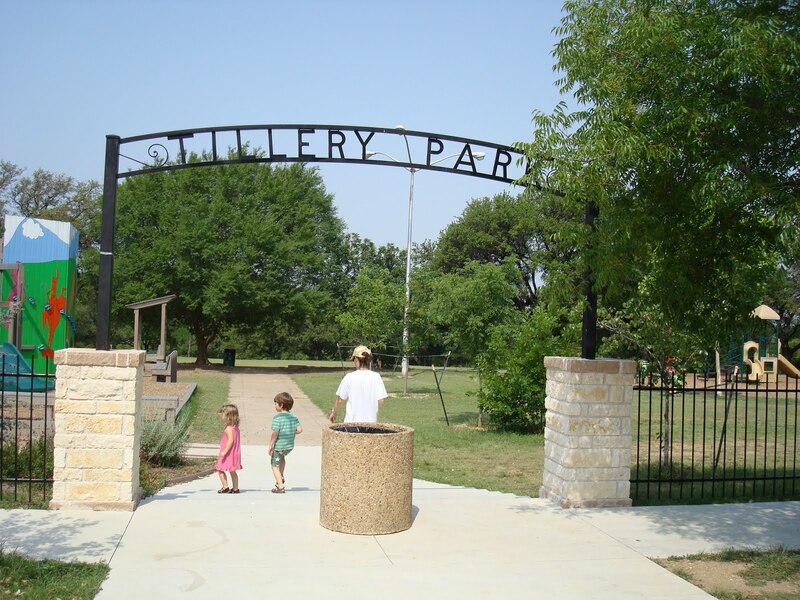 Tillery Park is a great place! 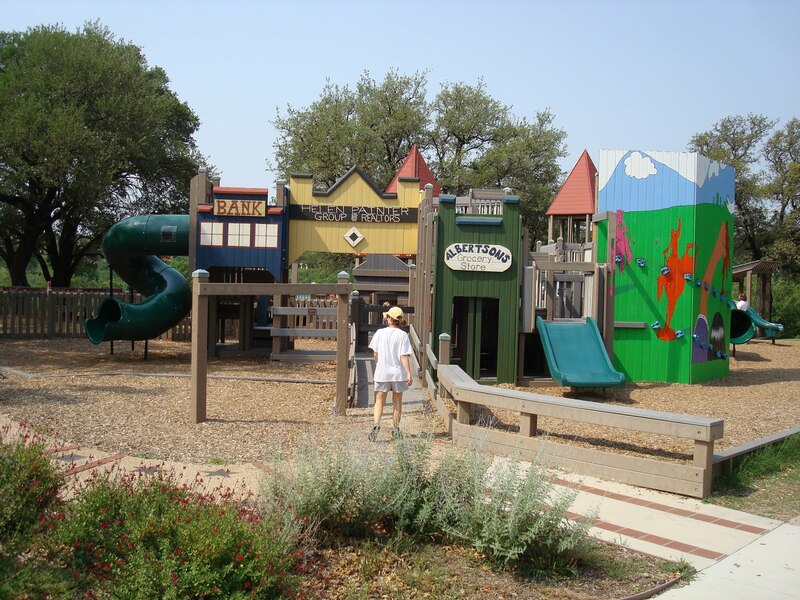 There are 2 playground areas, the 1st is a new (Oct 2007) "wooden" structure built by the hands & financial contributions (matched by the city) of the neighborhood with plenty of slides, things to climb, and lots of places for imaginative play. 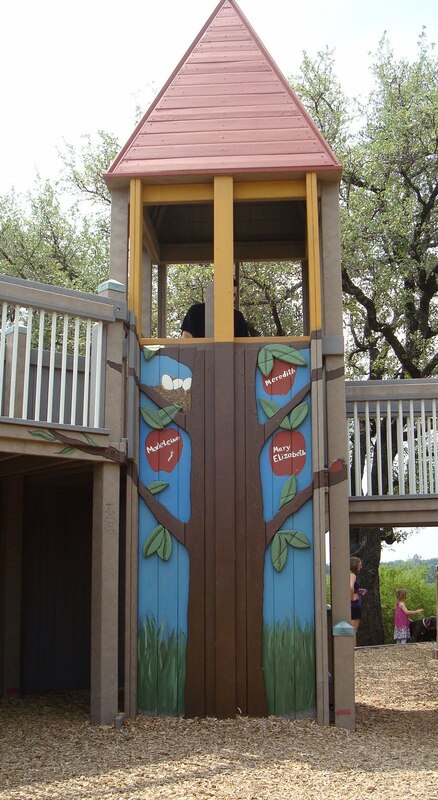 There is a separate toddler play area in this structure & there are swings for bigger kids. 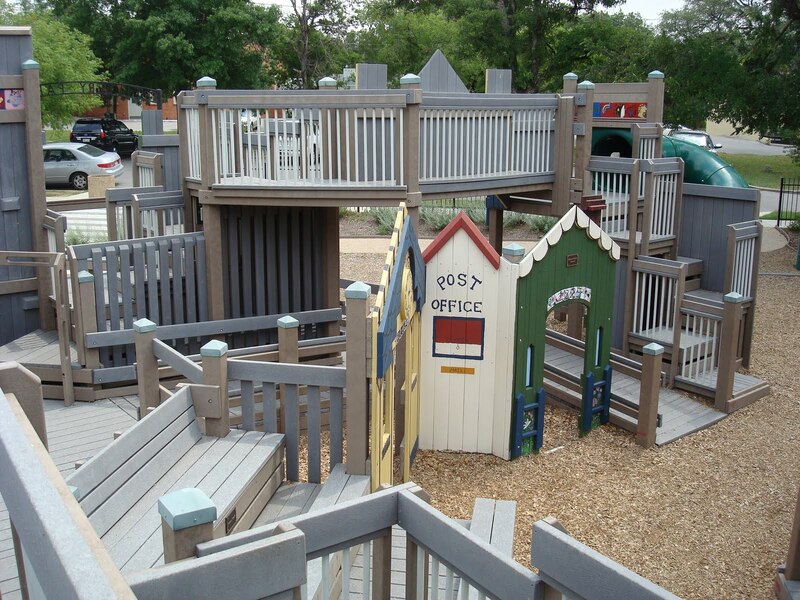 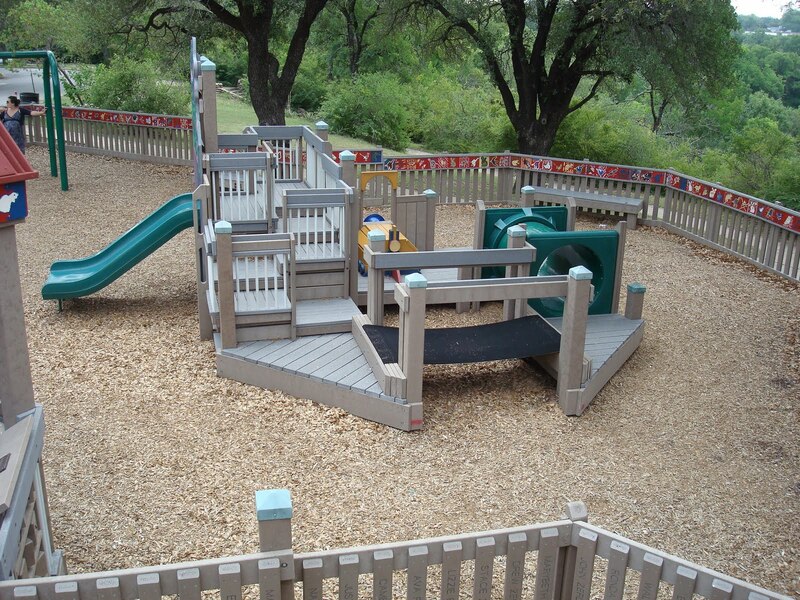 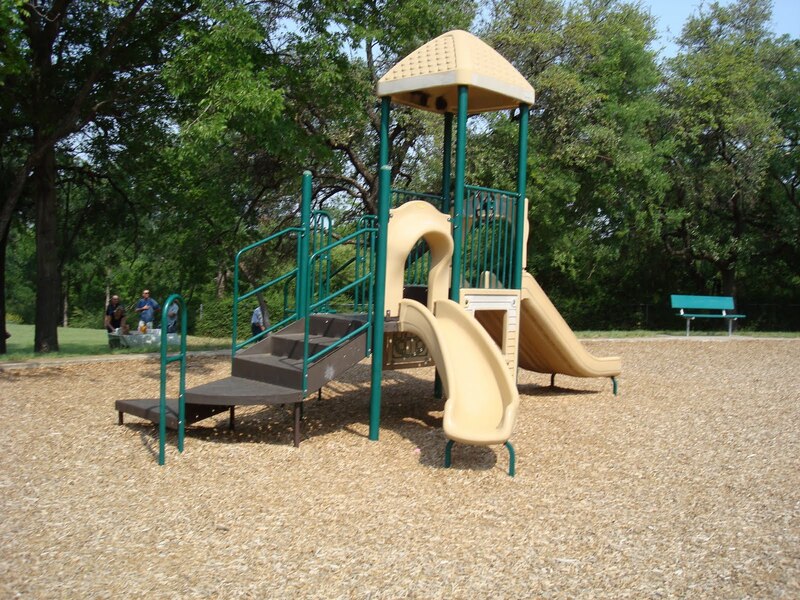 The 2nd is the older play area, with a smaller play structure, slide, merry-go-round, see-saw, & baby swings. 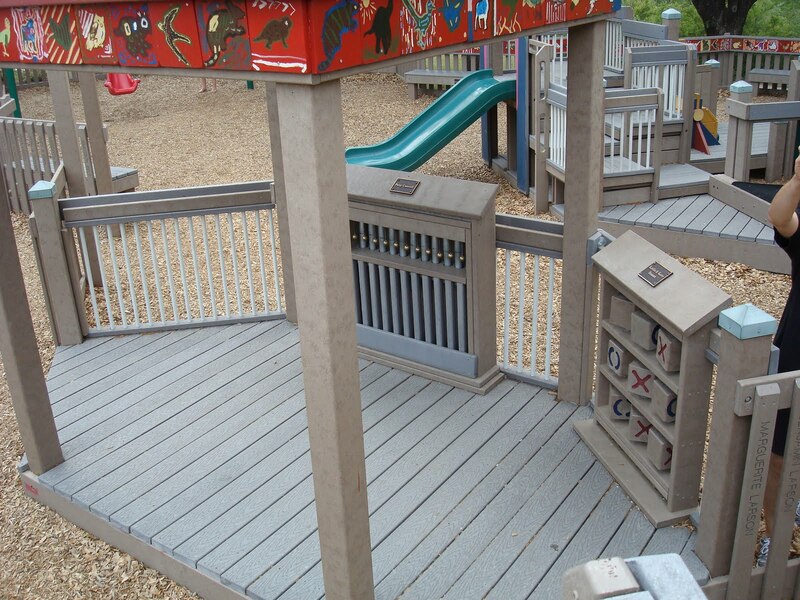 There are several benches in both areas, including covered benches for some shade. 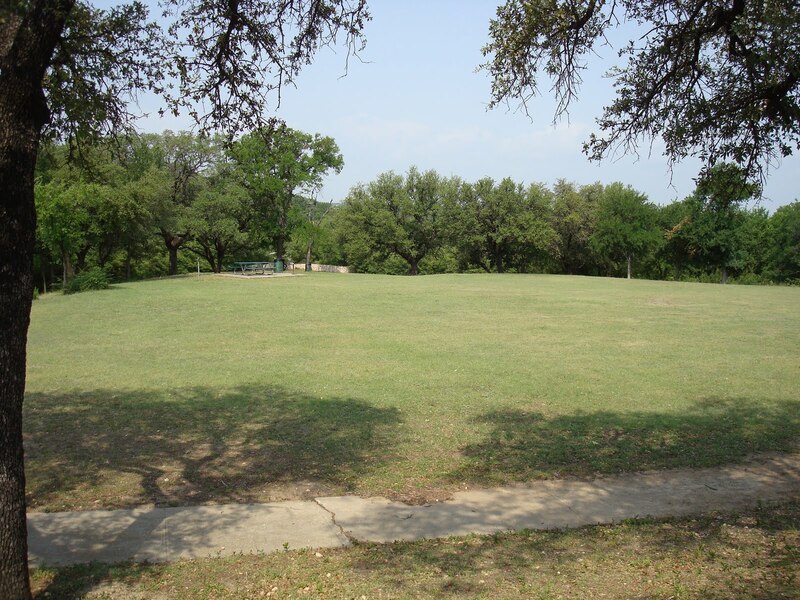 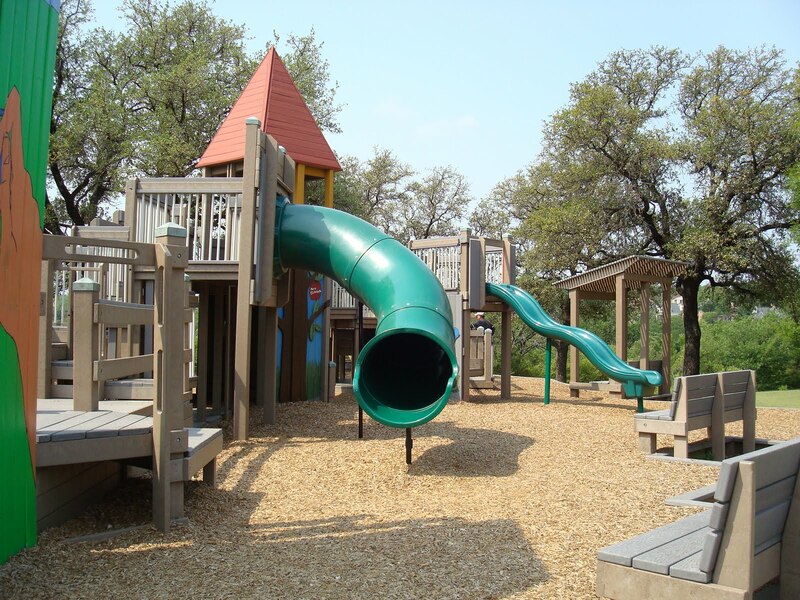 There are 2 separate grassy areas, great for picnics, free play, and there are trails that lead off into the "woods" (supervision strongly encouraged if you allow your child to explore these areas). 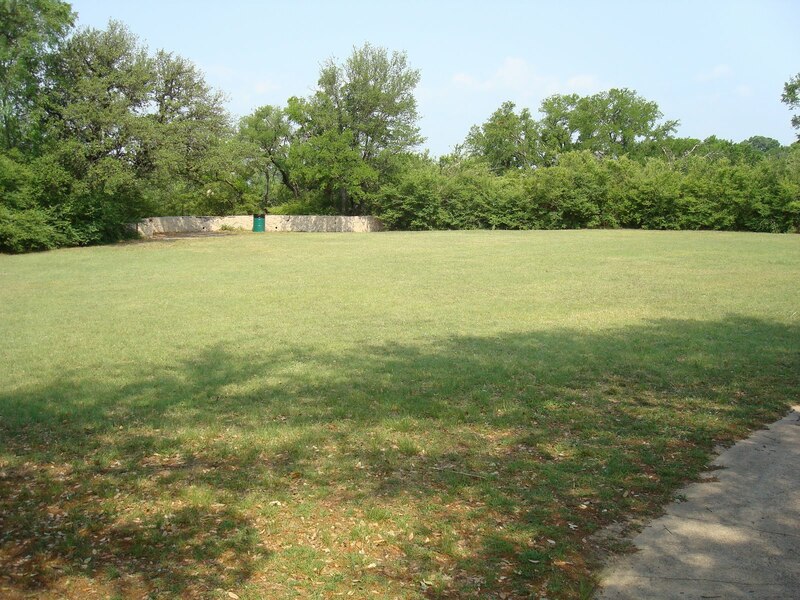 There is no restroom or water fountain on site. 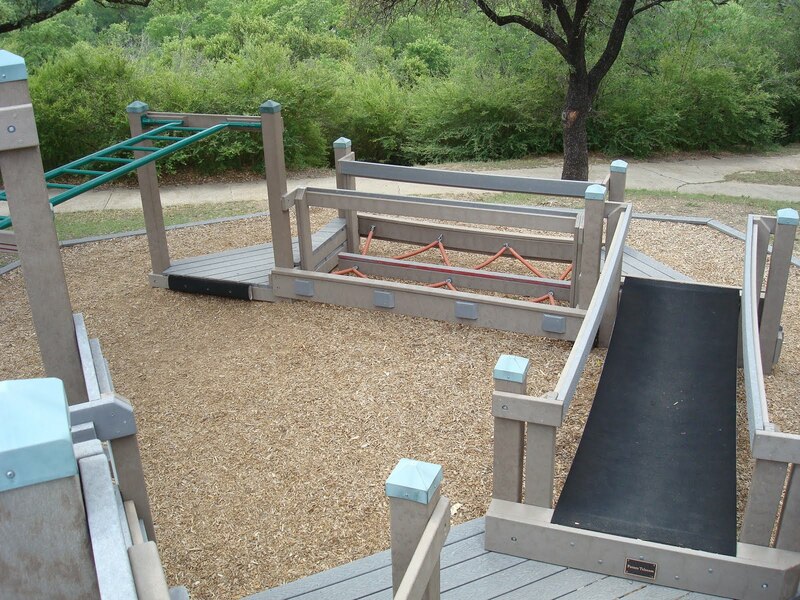 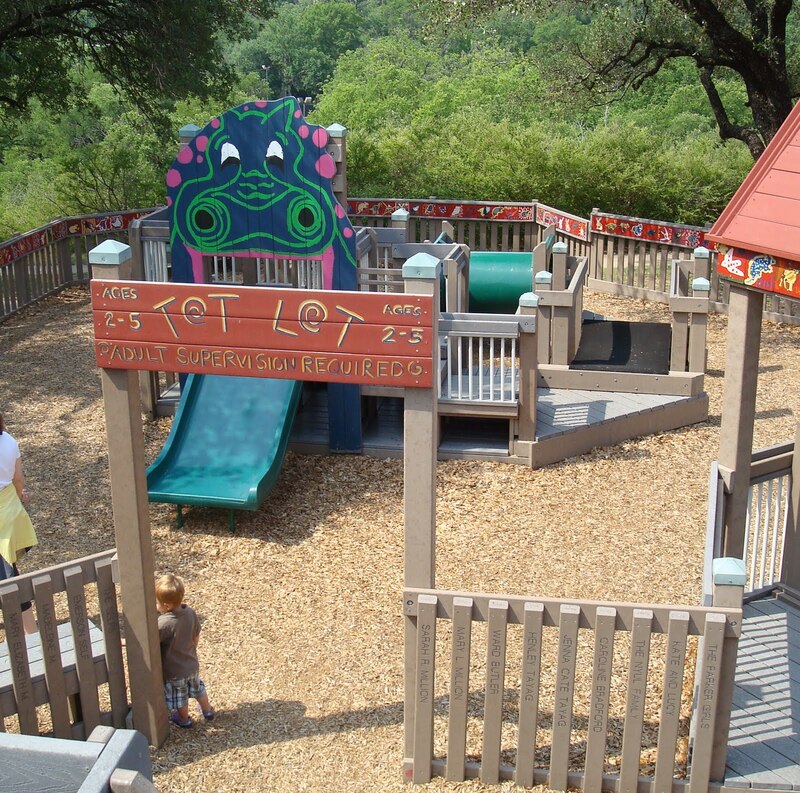 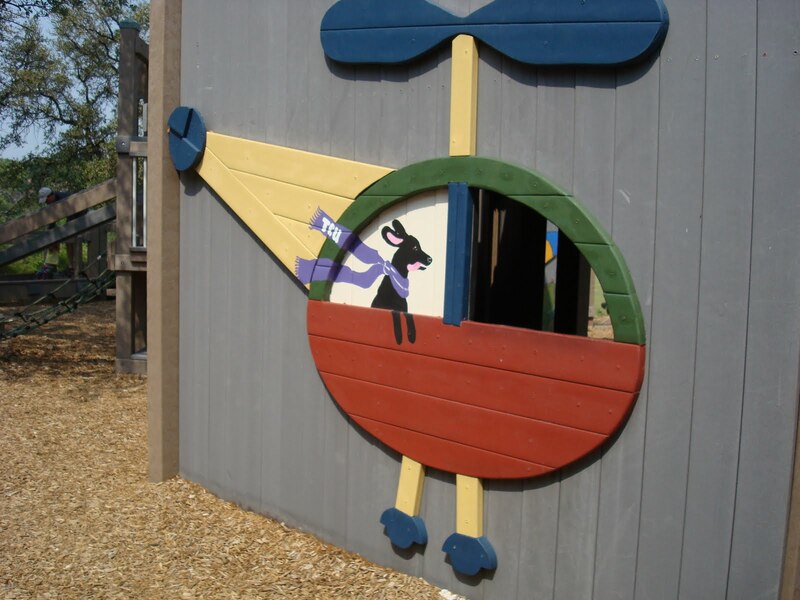 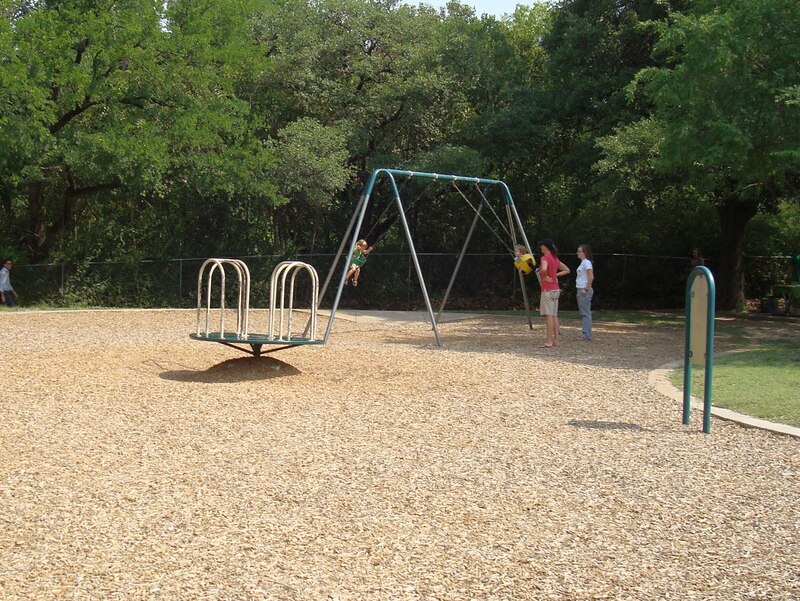 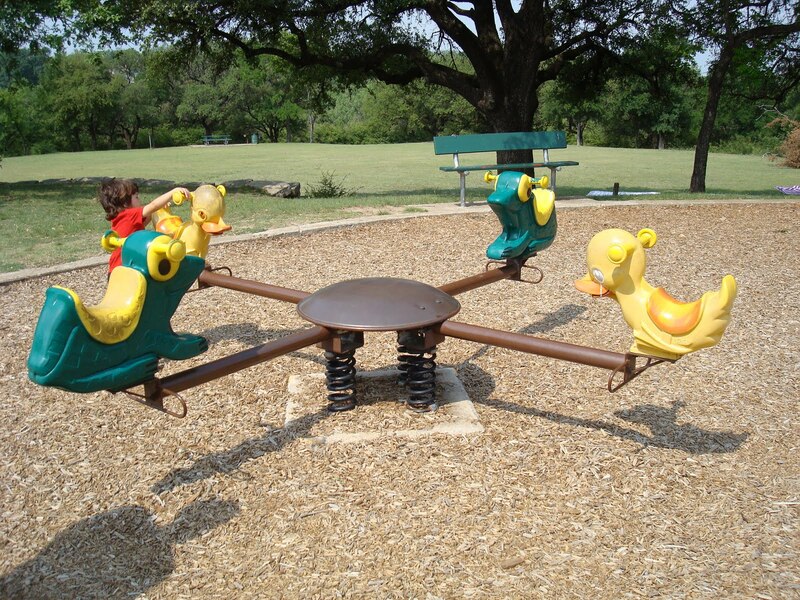 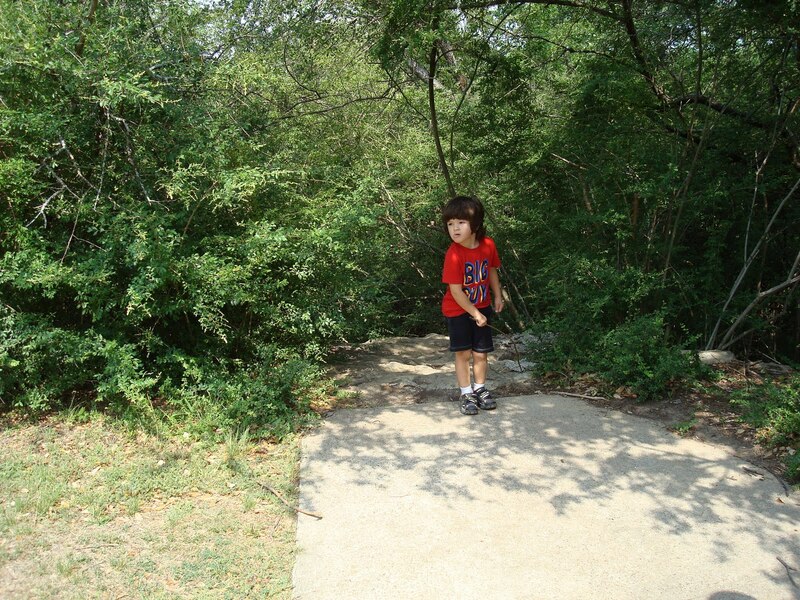 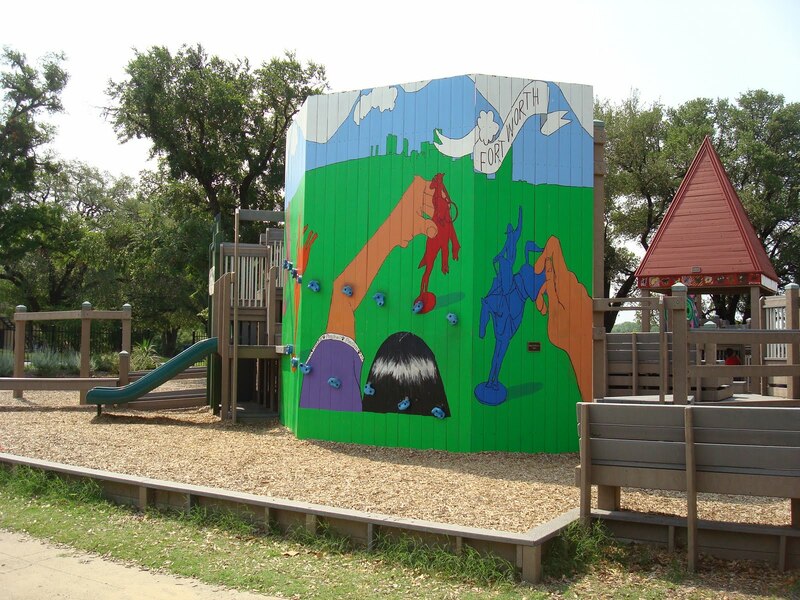 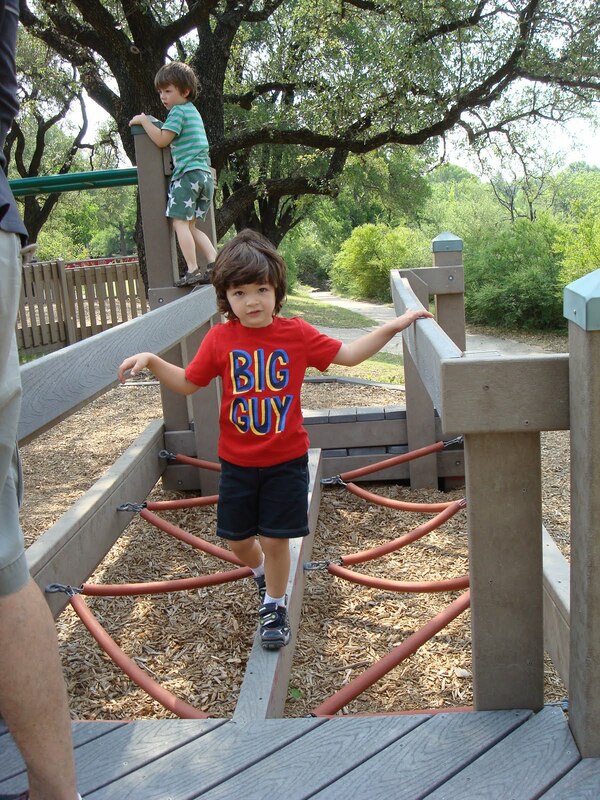 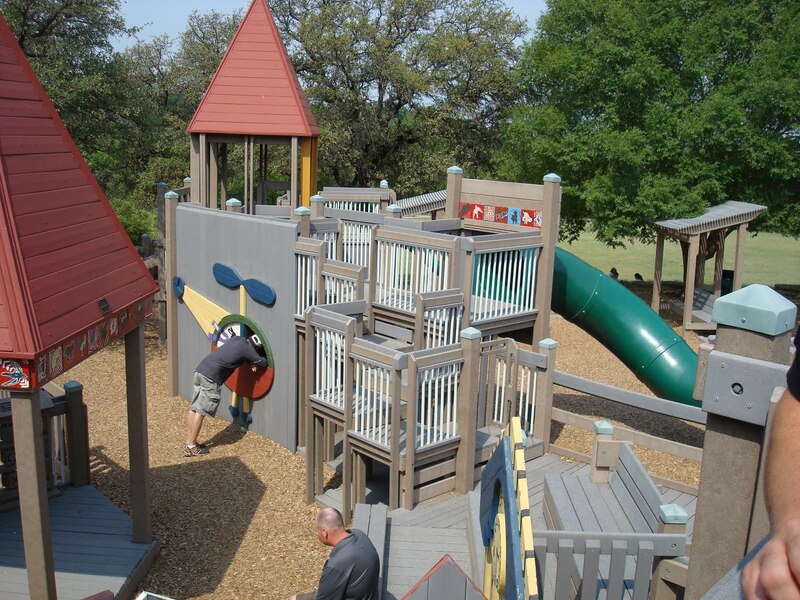 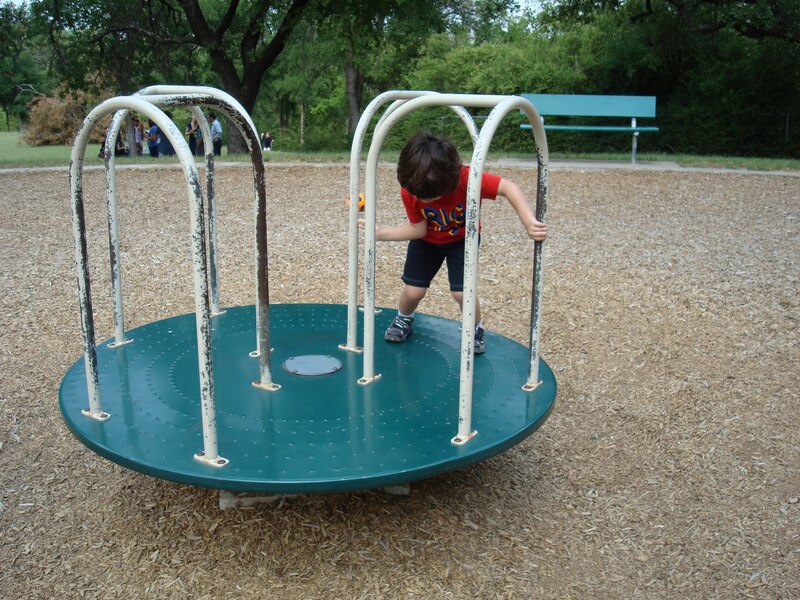 Images borrowed from DFW Parks & Playgrounds. 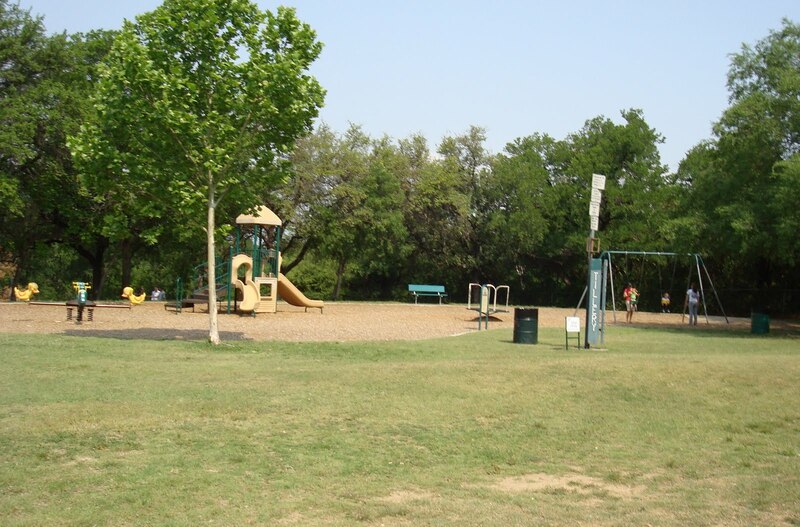 Note: park not shown on map, actual location next to Forest Park with access and entrance via "Rock Ridge Trail" (it's actually called Rockridge Terrace) off of Forest Park Blvd.